Please ensure crew access to electrical outlets and water (a hose). We seek to provide exceptional customer service. As work progresses, please be sure to share any questions or concerns you may have, either with your project foreman or Jessica Sargent, Production Coordinator at Catchlight Painting. Applying our services to structures taller than 40 feet (3 stories) may require the use of scaffolding or lift equipment. Lifts provide relatively easy access to high areas at a fraction of the cost of full perimeter scaffolding. There are trade-offs, however, as a lift is a large, multi-ton piece of equipment. On a hot summer day softened asphalt can be damaged by the lift’s tires, underground sprinklers or uneven pavers may break, soil might be compacted, and there is the potential for plants or bushes to be damaged. We do our utmost to prevent damage – for example, we lay plywood to distribute the equipment’s weight. Nonetheless it is essential that you and your estimator assess the benefits and all potential costs associated with lift use, including repair costs if damage does occur. Catchlight will facilitate repairs wherever possible. Please let us know where a porta-toilet may be situated for the duration of your project. The toilet will be serviced once a week and removed within a week of project completion. New England weather is famously unpredictable! We may cancel work if rain is forecast so are sometimes absent needlessly. Catchlight is committed to finishing each project in a timely manner; we never abandon one project to start another. Please discuss landscaping concerns with your estimator. Given your garden’s bloom cycle, what is the best season for work to be scheduled? We encourage you to point out particularly sensitive areas and will do our utmost to protect delicate landscaping. 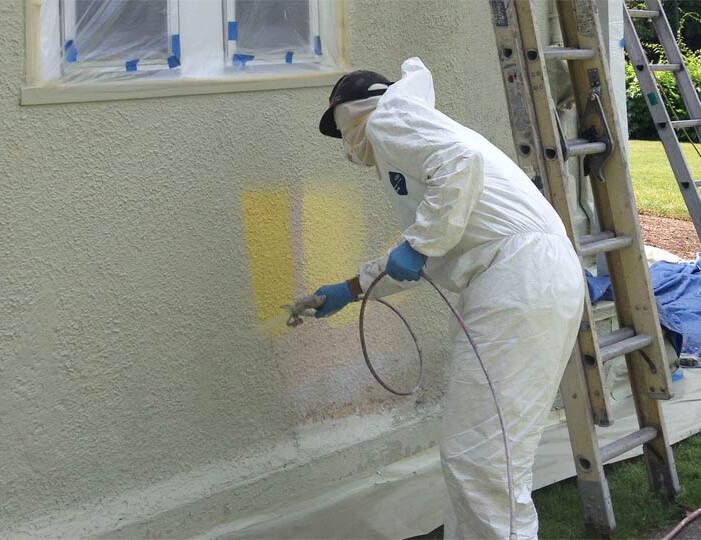 Exterior painting does require that equipment, ladders, drops and crew occupy the area extending 10 feet beyond your home’s foundation. Some wear and tear is, unfortunately, unavoidable. To prevent the risk of electrical shock, we arrange to have above ground power lines wrapped with a protective rubber membrane. Be sure to give Catchlight a call if wraps remain in place beyond three weeks post-completion. On occasion we find it necessary to request wrap removal multiple times. If anything is amiss or has been overlooked, we definitely want to know about it! 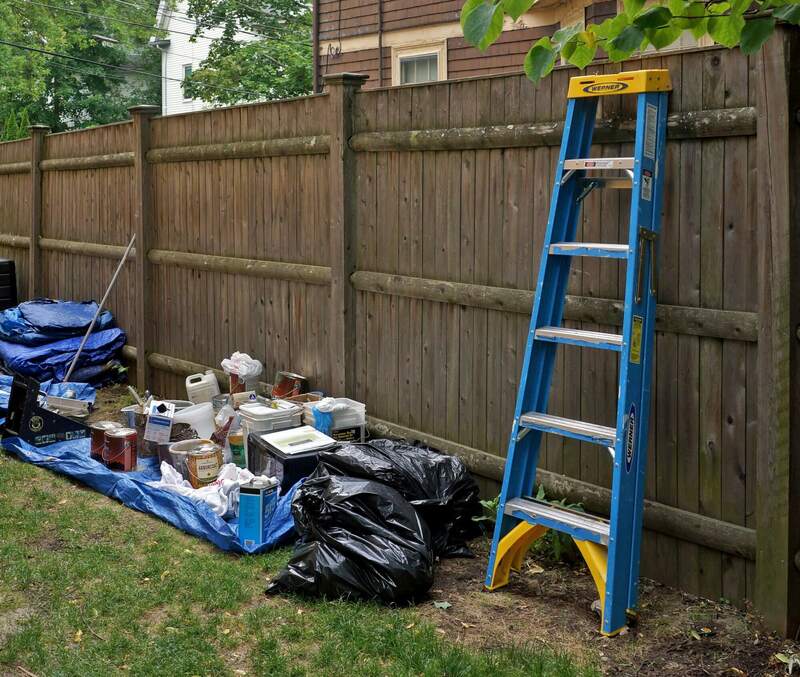 We encourage you to inspect our work as your project completes as Catchlight Painting does not consider the job done until you confirm your satisfaction. All work is warranted for three years.